Long Beach, Calif. – August 15, 2012 – Tickets for the finale event of the 2012 Formula DRIFT season are on-sale now. 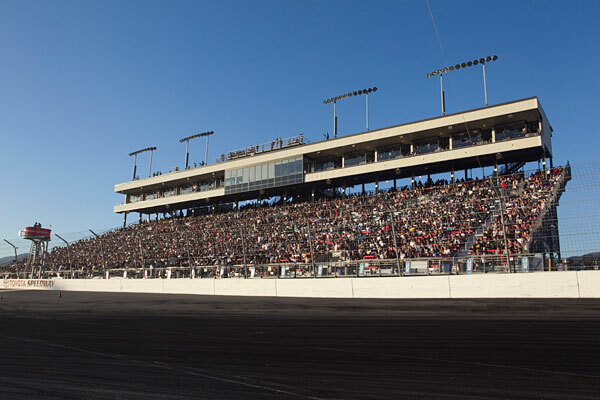 Round 7: Title Fight on October 12-13, 2012 will be held at Irwindale Speedway. Formula DRIFT will be the first major event to return to Irwindale Speedway since the new management group has taken over the day-to-day operations of the venue. The event has sold out for the past two seasons and to accommodate the growth in attendance expanded seating will be made available. Tickets are on-sale now and available on www.formulad.com. Tickets are expected to sell-out again and early purchase is highly recommended.